Dadbot, a son’s quest to Give His Dying Father Artificial Immortality! “We’ve got to live, no matter how many skies have fallen.” – D.H. Lawrence. Doesn’t make any sense right? Please carry on reading though, because am sure by the end of this post you’d understand what that line means. James Vlahos, the writer for WIRED magazine, talks to his father everyday. His father, John James Vlahos, was diagnosed with stage IV lung cancer and passed away in February, this year. But he still talks to him everyday. In an article, “A Son’s Race to Give His Dying Father Artificial Immortality” published in the magazine’s August cover story, James explains how he talks to his father everyday through “DadBot”, an artificially intelligent chatbot designed by him to retain his dad’s experiences and personality. Vlahos explained how he wanted to give artificial immortality to his father and documented everything in the cover story. 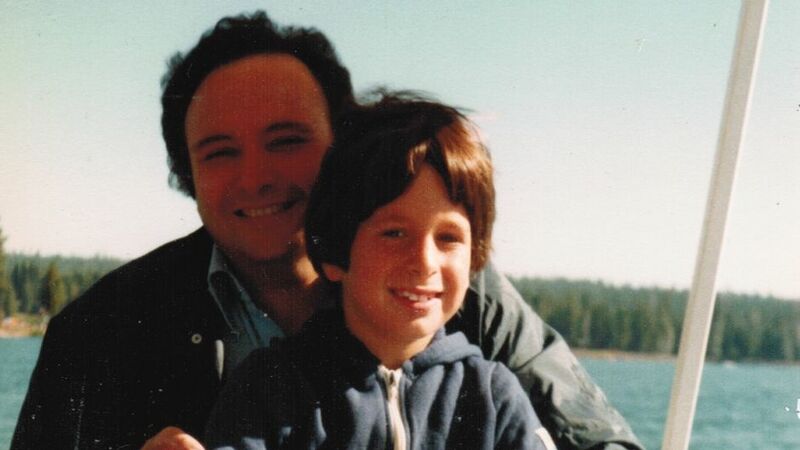 It all started with him spending hours and hours with his dad to record dozens of hours of conversations about growing up the son of Greek immigrants, attending the University of California, Berkeley, working as a lawyer and more. He also writes about the challenges he faced while designing the AI, due to limitations of tech available and his inexperience as a programmer. All the material that he had, later on was put in a software that helped him to have conversations with his father, allowing him to carry forward at least some sense of his personality. It either brings a smile to my face and a warm feeling sometimes, and at other times it brings a tear to my eye. The bot operates through Facebook Messenger, and it carries out conversations using John Vlahos’s own stories and words. Occasionally, Dadbot would play a recording of his father telling a joke, or singing a song. He started working on Dadbot when his father was alive. Before his father died on February 17, James says, that his father interacted with the chatbot himself. He thought it was really cool. He said something that for me was a compliment, which was just that he thought the bot sounded like him. James Vlahos as a young boy with his father, John James Vlahos. Even though Vlahos admits that the bot would be nothing but a mere shadow of his own dad, he talks to the bot every week to test its limits, in a quest to make it a “perfect version of Dadbot”; which he believes would be weird if it were to happen. After using the chatbot once, the writer’s mother was interested in using it again. He wants to make sure that the bot is good enough before it is introduced to everyone in his family.